Mesh is based in the UK and is the latest manufacturer to enter the thriving netbook market. 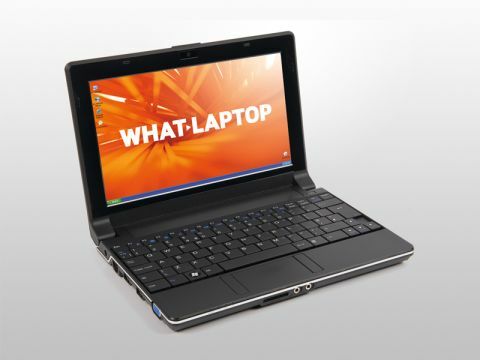 Its Edge10 R netbook is very average, however, offering poor usability and features. The compact black chassis lacks style, with even the glossy lid featuring branding comprising a cheap looking sticker. At 1.1kg, it is highly portable, although the 166-minute battery life is run of the mill. At first glance, the keyboard promises comfortable usability, but fails to deliver. Despite large keys, it has a completely flat profile, which makes it difficult to differentiate between keys when typing. The large and wide touchpad proves slightly more usable, but is let down by awkward mouse buttons. Placed on either side, rather than below the touchpad, they are extremely difficult to use. The vibrant 10.1-inch screen is far more pleasing. It is bright and sharp, and image quality is excellent. The glossy Super-TFT coating inevitably proves reflective, but it doesn't hinder visibility. Alongside the standard Intel Atom processor, Mesh has fitted 2048MB of memory – twice that of most netbooks. We failed to see much improvement in power over rivals, however, with only the most basic performance on offer. This is one of the first netbooks we've seen to feature Windows 7 installed as standard. The software proves far more usable and reliable than Windows Vista and has a pleasingly intuitive interface. Unfortunately, features on the Mesh are limited. There are only two USB ports, rather than the standard three and there is also no Bluetooth support provided. An integrated camera is in place, but it fails to compensate for the omissions. In such a competitive market, the Edge10 R fails to clearly stand out from the many stunning netbooks already available. While it is not the worst netbook we've seen, there is nothing to recommend it over its rivals.